On the morning of June 3, 1968, Robert Francis Kennedy, hoping to secure his late-surging campaign for the Democratic party’s presidential nomination, was driving in his open-air motorcade through San Francisco. It was a high, cloud-bright day. Around him the streets were lined four-people deep. Children ran alongside the car. This was in Chinatown, one of the city’s oldest neighborhoods. The motorcade was moving slowly. Already they were behind schedule. Kennedy was standing on the convertible’s back bench alongside his wife, Ethel, as they passed the first block, then the second. He kept reaching down to shake hands. In return, the members of the crowd reached up. It had been like this ever since his campaign first began, 80 days earlier. In his earliest public appearances as a candidate—at the Kansas universities in Lawrence and Manhattan—he’d been overwhelmed by the fervor of the crowds. Afterward, across his nonstop campaign through the Indiana, Oregon, and California primaries—during which he appealed, first and foremost, to what he liked to refer to as his coalition of the “have nots,” America’s most disadvantaged citizens—people appeared to want, more than anything, to touch him. “They’re here because they care for us,” Kennedy observed, “and want to show us.” On a few occasions he was nearly jerked from the car altogether. The motorcades were monitored by his personal security man, Bill Barry, a former football player at Kent State who, kneeling on the bench of the convertible, would spend hours with his arms wrapped around the waist of the candidate, as to keep him from being carried away. He won the May 7 Indiana primary, his first, by a large margin. Over the next four weeks there’d been ups and downs—a resounding victory in Nebraska, as well as a stinging six-point loss in Oregon—but by that bright summer morning in San Francisco, one thing was clear: time was running out. The all-important California primary would be held the next day, on Tuesday, June 4. To secure his party’s nomination—in an attempt to knock out fellow anti-war Democrat Eugene McCarthy and at the same time fight off the party’s establishment candidate, Vice President Hubert Humphrey, a vocal supporter of the administration’s calamitous Vietnam policy—Kennedy needed a convincing win. His slow-moving motorcade through Chinatown marked the start of what was to be an 18-hour, 1,200-mile swing from the Los Angeles basin to the Bay Area and then back again to a fundraiser in San Diego: a final breathless barnstorm to secure the state’s crucial 174 delegates. Bobby Kennedy was 42 years old. Recently, at the start of 1968—a year that had begun with the Tet Offensive and only gotten worse—he’d decided that he could no longer keep from speaking out against the current administration on the three issues he believed to be ripping America apart: the war in Vietnam, racial injustice, and income inequality. Now, after a furious sprint through the bewildering primary season—at that time, a large number of states refused to hold elections, their delegates controlled, instead, by powerful party bosses like Chicago mayor Richard M. Daley—he found himself in a knock-down fight for the opportunity to become the next president of the United States. In San Francisco that summer morning, his wife Ethel stood alongside him on the convertible’s bench. She was dusky and sharp-boned, wearing a vermillion coat and white gloves, her shoulders thrown back, a lei of fresh flowers draping her neck. In two weeks they planned to celebrate their 18th wedding anniversary. Already they’d had ten children together. That spring they’d learned she was pregnant with their eleventh. At the third Chinatown intersection, Kennedy was still shaking hands when a series of deafening shots erupted from the area just ahead of the car. Ethel threw herself down onto the convertible’s deck. In the crowd people ducked. From alongside the motorcade men in suits reached to shield the candidate and his wife. Eight fierce explosions rattled off in quick succession. It was an instant that lasted no more than a few seconds. The entire time, from his perch on the bench, Robert Kennedy continued to stand. He never moved. The source of the shots? Fireworks. A long ribbon of them, each one latticed to the next across the open stretch of street the car was now approaching. Perhaps they’d been lit in celebration. Or by children. Regardless: for an instant they had sparked and sounded like the discharge of a gun. Together they continued through Chinatown, toward Fisherman’s Wharf, for a private event at Joe DiMaggio’s restaurant. But the sound of the fireworks lingered. That afternoon they flew to Long Beach, motorcaded through Watts and Venice, and then hopped another flight to San Diego. “I don’t feel good,” Kennedy admitted, a rarity for him. Much later in the evening, during the night’s final fundraiser at San Diego’s El Cortez Hotel, he rushed with uncharacteristic abruptness through his prepared remarks. Even before he’d concluded the final lines of the speech he walked off the stage. He appeared to be heading for the exit. But at the stairs to the floor he hesitated. Suddenly he sat down. In the next moment, in full-view of his celebrity-filled audience—Rosemary Clooney was there, also the folk singer Andy Williams—he slouched over. Into his hands he buried his face. It was a few hours before midnight. Soon it would be June 4, 1968. The final day of his astonishing, abbreviated life was about to begin. Here’s something we tend to forget about the 1968 California primary: the showdown Robert Kennedy was campaigning so furiously to win that June—a one-on-one fight against fellow anti-war candidate Eugene McCarthy (Hubert Humphrey refused to put his name on the ballot, instead relying on backchannels and party bosses for his support)—never should’ve taken place. Kennedy had initially entered the race with a single opponent in mind: Lyndon Baines Johnson, that ancient, Texas politico who, despite his legislative successes in the aftermath of JFK’s murder, had repeatedly doubled-down on a Vietnam strategy that drained domestic resources while inflicting an appalling amount of American and Vietnamese casualties. Kennedy had waited until the last possible moment to declare, a decision that in most election years would’ve been unthinkable: viable candidates knew better than to mount a primary challenge to their own party’s sitting wartime president. He also worried that his open opposition to LBJ would make him appear ruthless—a familiar characterization that he felt in no way accurately described the person he’d spent the past half-decade struggling to become. A year later, on an unseasonably warm Friday in November, 1963, Robert Kennedy was having lunch on the back porch of Hickory Hill, his family’s expansive home in northern Virginia, when he received a call on his outdoor line from FBI director J. Edgar Hoover, who announced in no uncertain terms what the rest of the country was in the process of discovering: John Kennedy had been shot in Dallas. With the phone in one hand Bobby clapped his other to his mouth. He turned as if he’d been struck. After hanging up, he tried to explain what had happened. “It may be fatal,” he told Ethel. Minutes later the next update arrived: JFK was dead. All of a sudden Bobby Kennedy had no one to run against. Going forward, his two opponents would be Eugene McCarthy, whose positions he often agreed with, and Vice President Hubert Horatio Humphrey, a milquetoast liberal who’d managed to support the worst of Johnson’s positions without inviting the distrust that a majority of Americans had come to feel toward their current Commander in Chief. Instead, over the next 60 days, in the span of time that separated LBJ’s abdication from the California primary, he set out to prove the sincerity of his initial declaration to run. He was articulating the shift in perspective he’d arrived at, painfully, after the loss of his brother: any criticism he levied through the standard political channels at his opponents would have to remain inseparable, in terms of rigor, from personal criticism—from the pressure he applied to himself. In this sense, for Kennedy, introspection was really a matter of forgiveness. How could he ask the most overlooked and devalued groups of citizens to support him, a famous wealthy Irishman from Boston, if he wasn’t also willing to honestly probe the flaws and assumptions and blind spots in his own perspective? “The American people want to move toward policies of reconciliation here at home,” he said in Phoenix that March. He wasn’t talking about forgiveness in terms of abuse or violence or even our classical concept of sin. Instead, in his effort to bring together so many disparate pockets of American society into a broader coalition of the have-nots, he was emphasizing compassion—for the self; for the party; for the country as a whole; for the inherent and deeply unjust contradictions on which our slavery-condoning democratic system had been founded. In order to be forgiven, after all, one needs to genuinely change. A new perspective can only be earned through repetition, its heft of day-to-day experience—the act of crossing the time and distance that separates an old point of view from a new one. At the heart of it all was a sense of authenticity—his own. That spring, when he talked about national healing to audiences in West Virginia and Los Angeles, he also understood that words themselves—his rhetoric—would never be enough; what mattered was action. On April 4, at the start of his campaign for the Indiana primary, Kennedy just taken off from Muncie when he learned that Martin Luther King Jr. had been shot in Memphis. After they landed in Indianapolis the worst was confirmed: King was dead. As the plane taxied Kennedy sat at his seat scribbling notes. Ethel suggested that he cancel his upcoming rally, to be held at an intersection in the city’s most prominent African-American district. Instead he headed there immediately. The crowd, numbering in the thousands, hadn’t yet learned the news. It was the first time he’d spoken publicly of his brother’s assassination. Across the country riots were breaking out. In Baltimore more than a thousand people would be arrested. In Chicago mayor Daley would put into place a “shoot to kill” order, authorizing his officers to murder rioters in the street. But in Indiana’s largest city there wouldn’t be violence. Earlier that spring, after Robert Kennedy’s primary victory in Indiana, the campaign staff established a standard approach for dealing with the media on election nights: as soon as the results started coming in, the candidate made himself available for the necessary television appearances. Then he spoke to his campaign staffers. Finally he sat down for a press conference with the journalists from magazine and newspaper outlets. He was wearing a navy suit and blue-and-white tie, a handkerchief at his pocket. Ethel stood behind him, three months pregnant, in a sleeveless, tangerine-striped dress, perspiration at her forehead. The ballroom was simmering. “I’ll just take a moment more of your time because everybody must be dying from the heat,” he said. He thanked his wife. He pushed his hair back from his face. It was time to go. His brother-in-law, Pierre Salinger, had arranged a private after-party at Factory, the famous LA discotheque, and after so many months of nonstop campaigning, he and Ethel were no doubt looking forward to a break. He finished his speech with an exhortation to carry forward their hard-earned momentum all the way to the August convention in Chicago, where it was now clear the nomination would be decided. “And let’s win there,” he said. In an adjacent ballroom the print journalists were waiting. Kennedy started off in their direction, following behind Bill Barry, who was edging a path through the audience. But the ballroom crowd was overwhelming. Among so many adoring supporters eager to shake his hand he’d never make it to the exit in time. Instead, Kennedy headed back in the direction he’d come, toward the slim corridor to the kitchen. Minutes earlier, a 24-year-old Pasadena resident of Palestinian descent, Sirhan Bishara Sirhan, had walked into the same narrow pantry and asked the hotel staff working there whether or not the senator planned to pass this way again. When no one was looking he’d climbed up on the tray stacker and folded himself into the small stretch of wall against the ice machine. For weeks, at home in a personal notebook, he’d written about his desire to shoot Robert Kennedy. He was outraged by the senator’s support for Israel. The day before, he’d visited the San Gabriel Valley Gun Club, where he fired so wildly and rapidly that he drew the attention of the attendant, who’d noticed the model and make of his gun: a .22-caliber Iver Johnson Cadet revolver. It was in his hands now, as he crouched and waited in the clutter, for the procession from the ballroom to commence. It was 12:13 am when Robert Kennedy entered the narrow corridor. Ethel was a few steps back. There were perhaps 30 people around them. Bill Barry, realizing the candidate hadn’t followed him into the crowd, rushed to catch up. Then from darkness at the wall there was a sudden movement, its blurring descent, the muffled thud. Sirhan Sirhan had leapt down from the tray stacker. He was maybe three steps away. With an arm raised high in the air he surged forward. 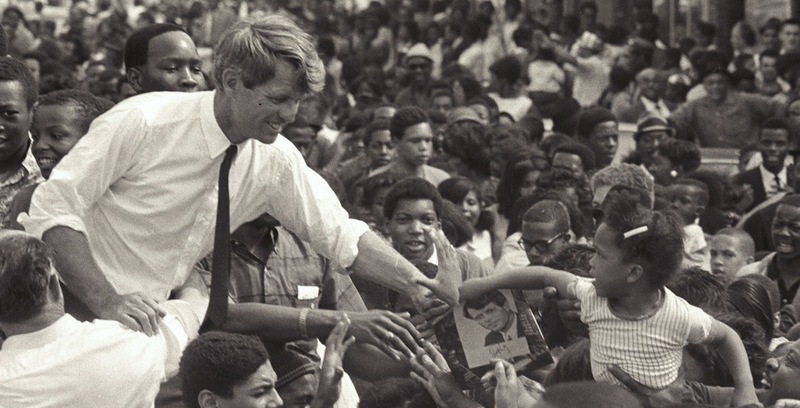 As with so many countless others these past three months, he was reaching for Robert Kennedy. But the candidate continued to look in the opposite direction, and when the young man made contact, brushing the snub-nosed barrel of the gun to the base of the senator’s head—at a point just behind the right ear—it was already too late. Sirhan got off his first shot at point blank range. He fired again. Now Kennedy was falling away; he threw his hands in the air, as if to block the attack. But as with the impossible swiftness of a dream narrative—a nightmare—the bullet had already completed its channel into his skull. He was on the floor. One of the busboys, 17-year-old Juan Romero, held the fallen senator’s head from the floor. Bill Barry, who’d caught up just as the attack began, was pressing Sirhan Sirhan in a stranglehold. “We don’t want another Oswald,” someone yelled. “Don’t kill him!” Photographers crowded forward with their heavy cameras, the flashes brightening the pantry. A photojournalist had climbed a low table for a better view; he loomed over Romero and Kennedy, taking as many pictures as he could despite the pleas to back off. From the ballroom Ethel appeared. She’d been dragged to safety when the shooting started, and now, returning, she saw her husband on the floor. She was roaring. “Give him room to breathe!” she said to the photographers, waving at their lenses. Her husband’s head had been propped with a jacket. She kneeled over him. For the first time she glimpsed the drastic red shape of the wound, positioned like a coin at the hollow behind his ear. “Oh,” she whispered. Bobby Kennedy turned to her in recognition. His shirt had been pulled open, his tie loosened, his stomach smeared by his bloody right hand, which he must’ve brushed to his head in those initial seconds of the attack. From the instant it was fired, the bullet, along its point-blank path, was irreversible. At contact it had shattered the temporal bone below the ear, scattering fragments up into the cerebrum and clipping the cerebellar artery, before finally coming to rest at the base of the brain. All of which meant that, down on that stone floor of the corridor pantry, arrested beneath the commotion of the moment—as the cascaded shards wreaked their havoc on his temporal and occipital lobes—Kennedy was very quickly bleeding to death. Somehow he remained alert. “Is everybody okay?” he asked when Romero bent over him. As Ethel stroked his chest he caught her glance with his own, gazing back. For the next ten minutes he watched as the room and its inhabitants spun together like thread, a final gossamer tapestry, fading with each new second that passed. “I’m with you!” Ethel shouted at him. Security arrived to restrain Sirhan. Over the ballroom’s microphone someone pleaded for a doctor. All the while Bobby Kennedy was enduring the final moments of his life, fully aware of what was happening to him but helpless to do anything to stop it. He was in terrible pain. His pulse was fading. What was he thinking about? Is it possible to describe the shape of his fear, its stark, physical intimation? Did he remember his older brother then? His children? His parents and siblings? Was he worried about Ethel, sitting there beside him and already too far away to reach up and touch? About the baby he’d never see? About the future—his own, yes, but ours too: the course of the country that, like Martin Luther King and John Kennedy before him, he’d also hoped to change? Now we’re talking about the saddest moment of all—the one in which you finally realize you’re beyond everyone else’s reach. For him the kitchen pantry of the Ambassador Hotel was becoming something else entirely. The concrete floor. The cluttered walls. His pregnant wife. His friends and colleagues and rivals and supporters and admirers. Even his murderer, pinned against a table only a few feet away. They were receding. There was only the room. Its endless corridor. At last he was entering the passage through which he’d never again return. At 12:23, a pair of medical attendants finally arrived. Together they grabbed his feet and shoulders and, without warning, lifted him roughly onto the stretcher. “Oh, no, no, no,” Kennedy said as they strapped him down. “Please don’t.” Then he lost consciousness. The next day he was dead. A few years ago I had the opportunity to visit Bobby Kennedy’s memorial for the first time—this was on November 8, 2016, another election night that stunned America, though for much different reasons than in 1968—and as I read the passage in the stone I found myself thinking, again, about authenticity: its riotous, unaccountable origins. For Bobby Kennedy—for his brother too, and for Martin Luther King, Jr., especially—the adherence to ideals like selflessness and nonviolence and reconciliation was dangerous: at any moment they could be killed for what they believed, and still they chose to act on these beliefs peacefully; in an effort to combat injustice, they were willing to sacrifice the only real currency they’d ever known: their lives. If authenticity means anything, it’s this. Of course they never wanted to be martyrs. We’ve made them that. 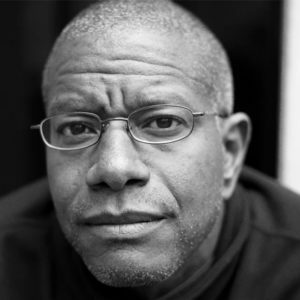 The only honor we had left to bestow on them was of the retroactive sort, an American style of hagiography that, despite its gross oversimplification of the complex individuals they’d once been, nevertheless gestures at something essential in their character—in their actions—a presence we continue to feel, decades later, long after we’ve moved beyond the immediate trauma of their absence. Not that I could’ve put it this way at the time. If you were to ask me today what I was thinking at that instant—reading the words in the granite before heading into the city for the election—what I’d say is this: To be afraid, to be wrong, and to change as a result for the better, is to be an authentic person. But on that afternoon, as I stood at Bobby Kennedy’s low-granite memorial, the emotion I felt remained unsaid, a sentiment not yet colored by everything that’s happened since. In retrospect it was the sort of moment that you have to experience personally—physically. And the only thing I’ll add is that, should you happen to find yourself with the means to make the trip, I highly recommend that you take the opportunity to visit Kennedy’s memorial yourself. It’s easier than you’d think. From Washington, DC, all you have to do is cross the river. Climb the hill. Skirt the flame. Ignore the city below—its brassy commerce—and, when you finally arrive at the low granite wall, take a moment to place your palm, without irony or judgment, to the stone on which his speech has been carved. Keep this in mind: when it comes to the relics of secular saints—their powers to charm and heal, to somehow halt the reality of the present-day—all that ever remains is their voice: the perspective through which they once so rigorously critiqued the injustices of the era that forged them. This critique must never be divorced from context; once that happens, the relic has already been lost. That Bobby Kennedy’s bones are in the same ground beneath which yours and mine will someday reside is of no solace. Instead, ask yourself this: What will fade first, the rock or the words it contains?